On Friday, Bean turned N-I-N-E years old. NINE. How in the world did this happen? Where have I gone wrong? Why is time so cruel? 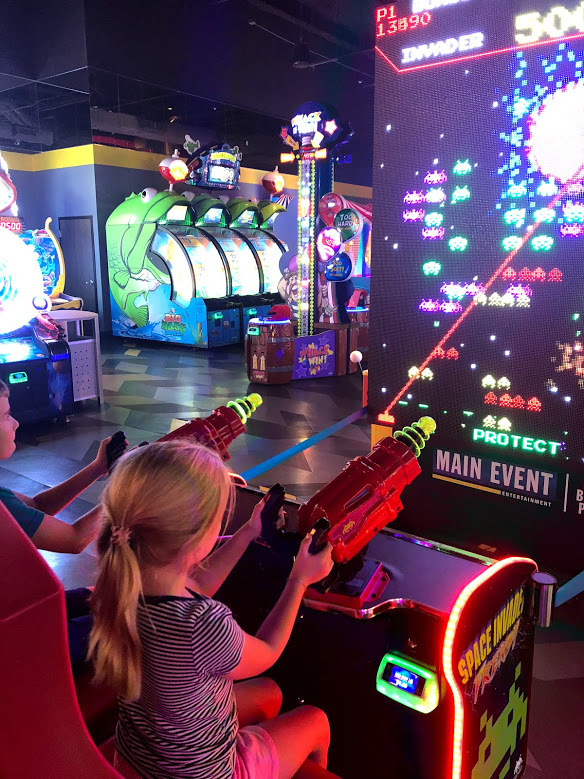 We spent the afternoon doing one of Bean’s absolute favorite things – playing in an arcade. 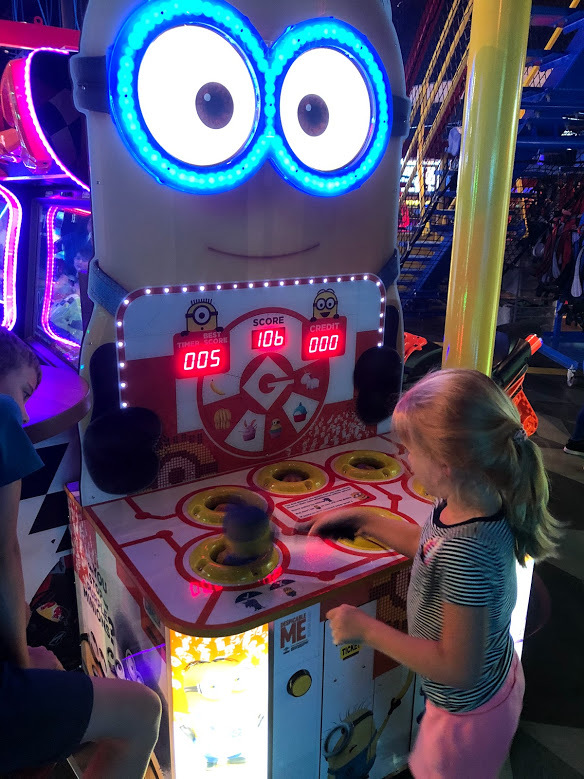 We went to a birthday party at the Main Event a few weekends ago and there was some kind of scheduling snafu, so the manager gave all the kids there one hour unlimited playing cards to use at a later time. 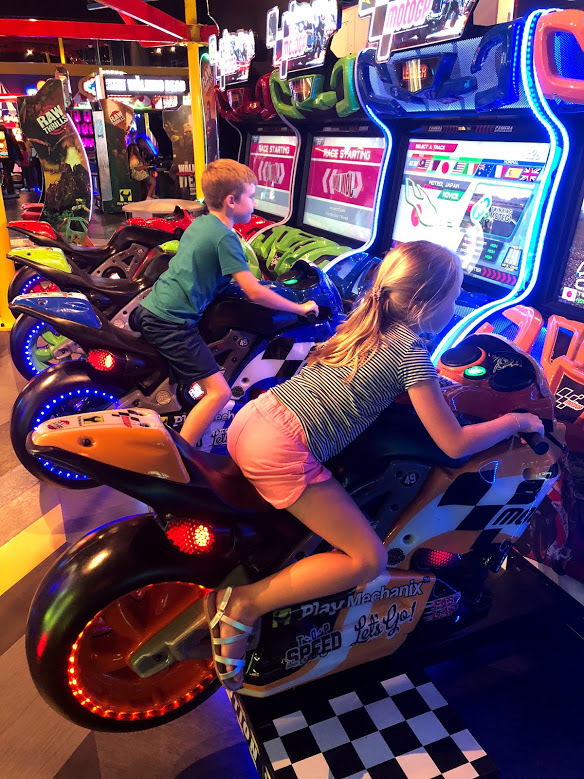 Since both my kids were at the party, we ended up with TWO hours unlimited play in the arcade. 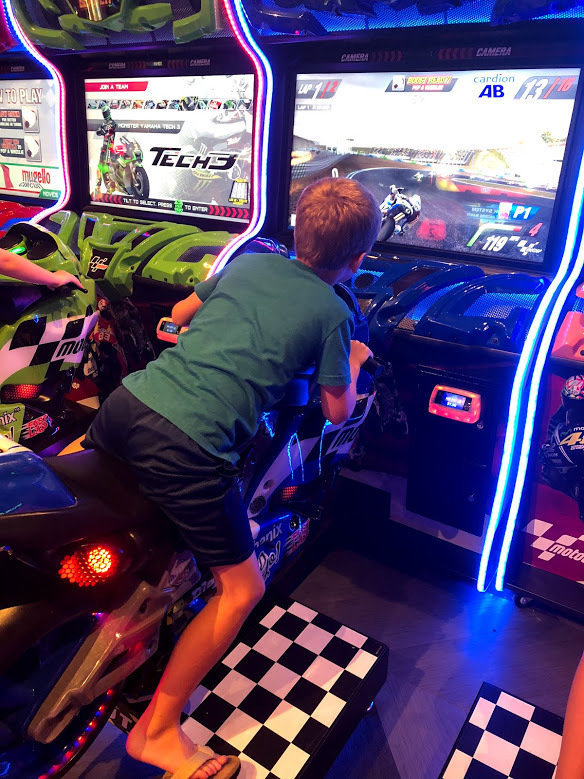 We cashed in one of them and spent an hour doing all kinds of flashing, pow-pow-ing, riding, spinning, throwing games. It was actually a lot of fun! And I got to play, like, 200 rounds of skee ball, so I had zero complaints. 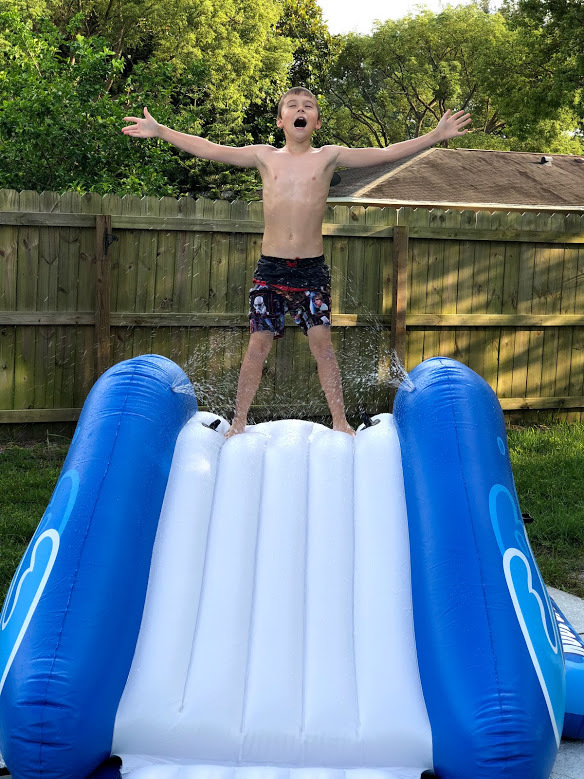 Intex Inflatable Pool Center (Amazon, $98) – Our friends got this last summer and my kids LOVED it. It has been on our wish list for a year now. 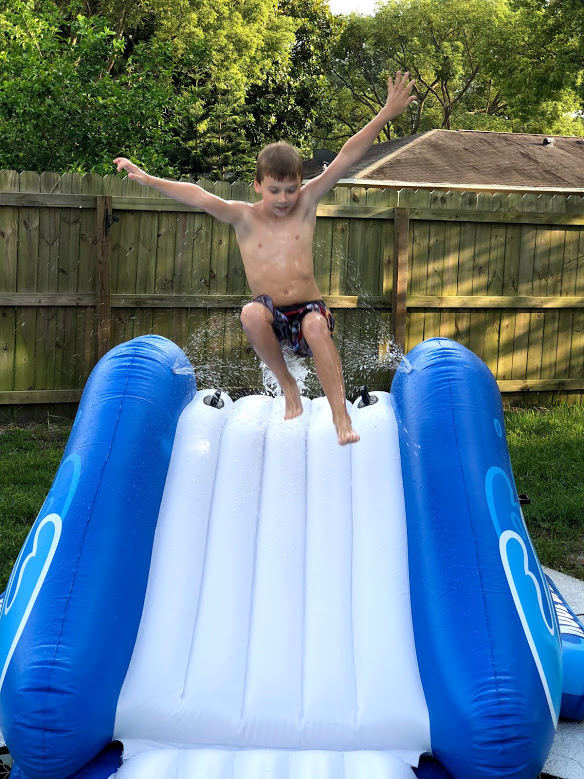 They were super excited and it has been the favorite so far. I’ve even gone down it quite a bit! Bean taught me how to do a forward flip and then slide. Videos are coming, just as soon as I can move my left shoulder again… It was really simple to set up. We used a little pump that we blow up air mattresses with and it worked great. 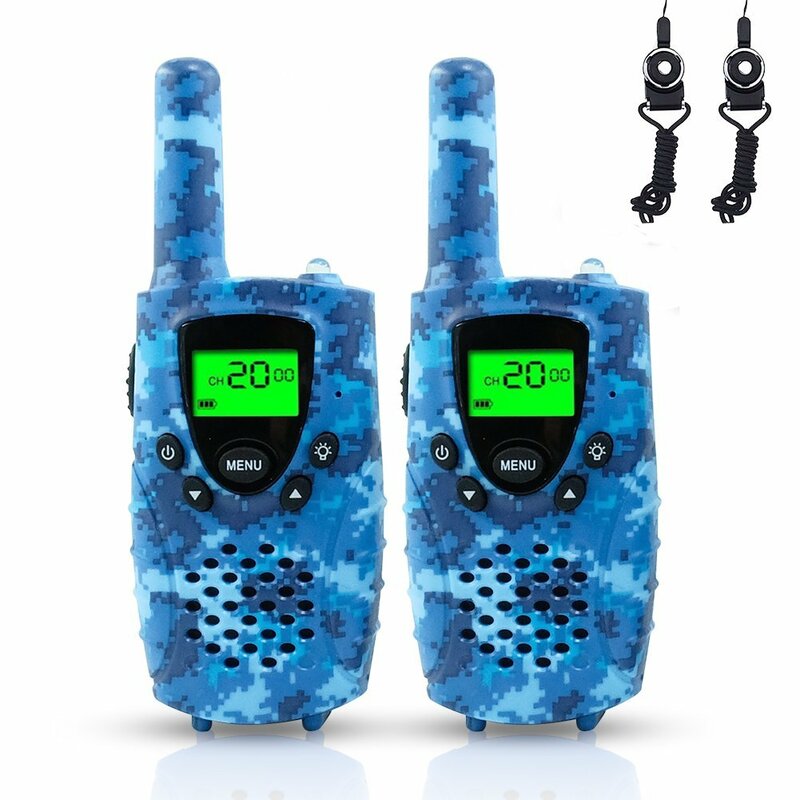 Walkie Talkies for Kids (Amazon, $26) – This was the only present that Bean actually asked for. He wanted walkie talkies that went farther than the little preschool ones he has had for years. He wanted to be able to talk from his room to the treehouse. These suckers are perfect, and then some with a FOUR MILE range! Chris found them and I was like, “Are you sure that’s not ridiculous?” and he gave me this look like I didn’t know anything about life. The kids have had a ball with them. 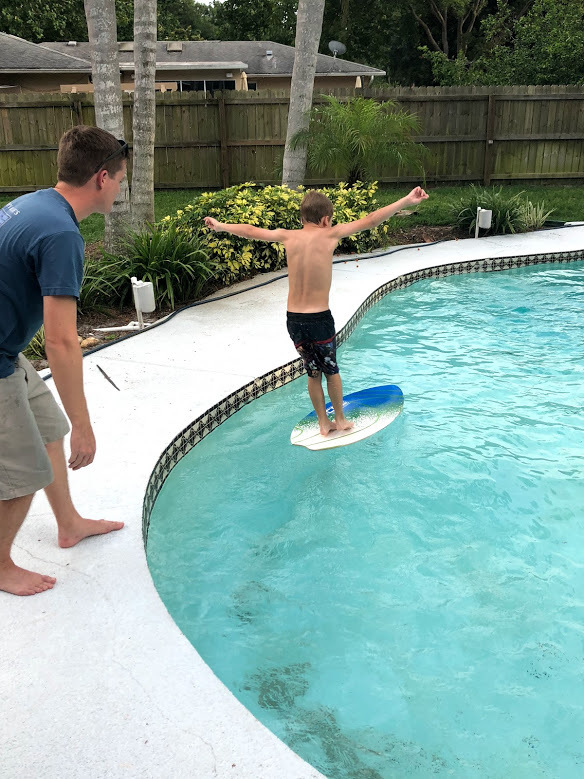 Keeper Sport California Skim Board (Amazon, $31) – This one was a stretch, but I just had this suspicion that it would be a big hit! 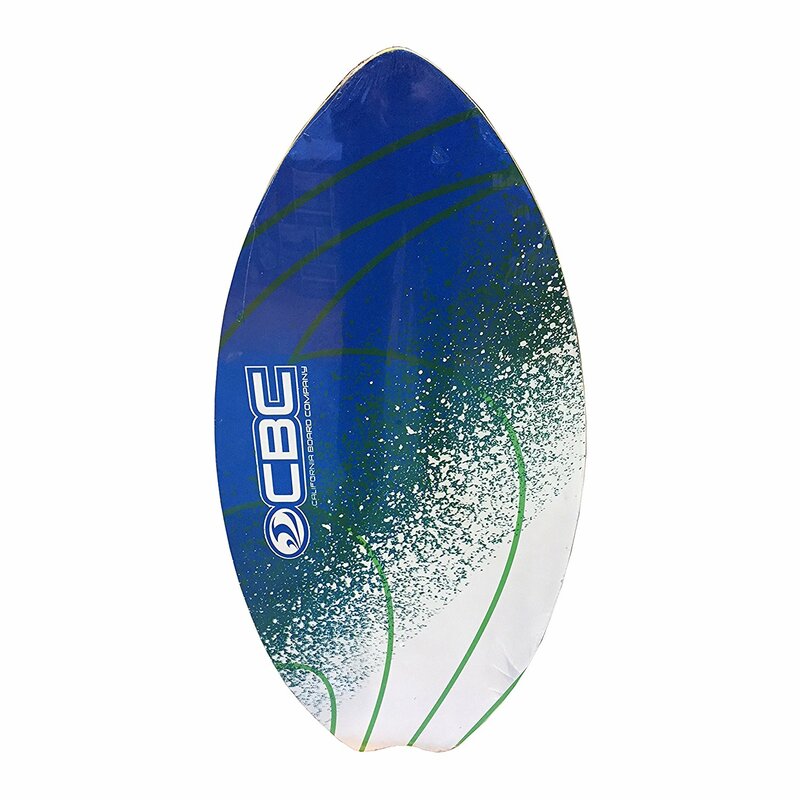 Bean loves to boogey board at the beach, but if that’s all you do, every time we go, it’s bound to get boring. I thought he might be old enough (read: coordinated enough) to try this. Of course, the first thing he and Gracie did was throw it down and try to slide it across the carpet. 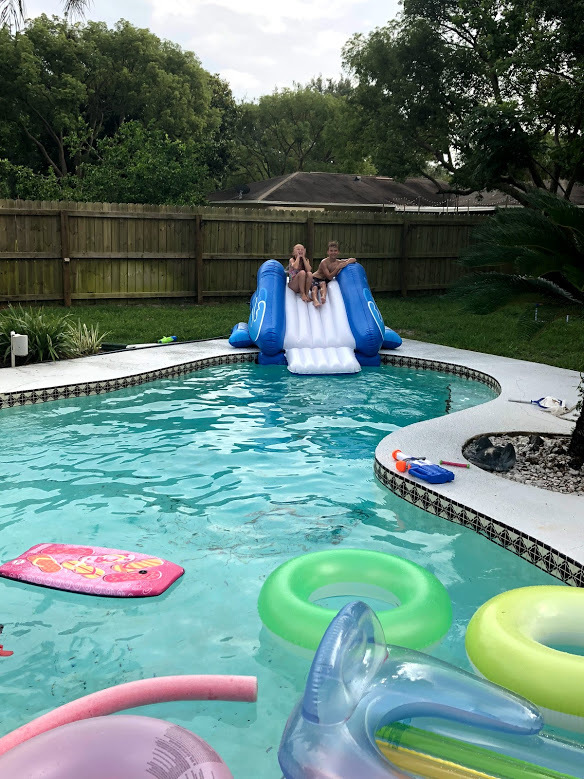 When I got onto them for that, Chris and Bean took it outside and tried it out in the pool. But I nixed that, too, because he is going to bust his head wide open! Boys. So, for now, it’s waiting in the back of my van until we get to the beach this week. 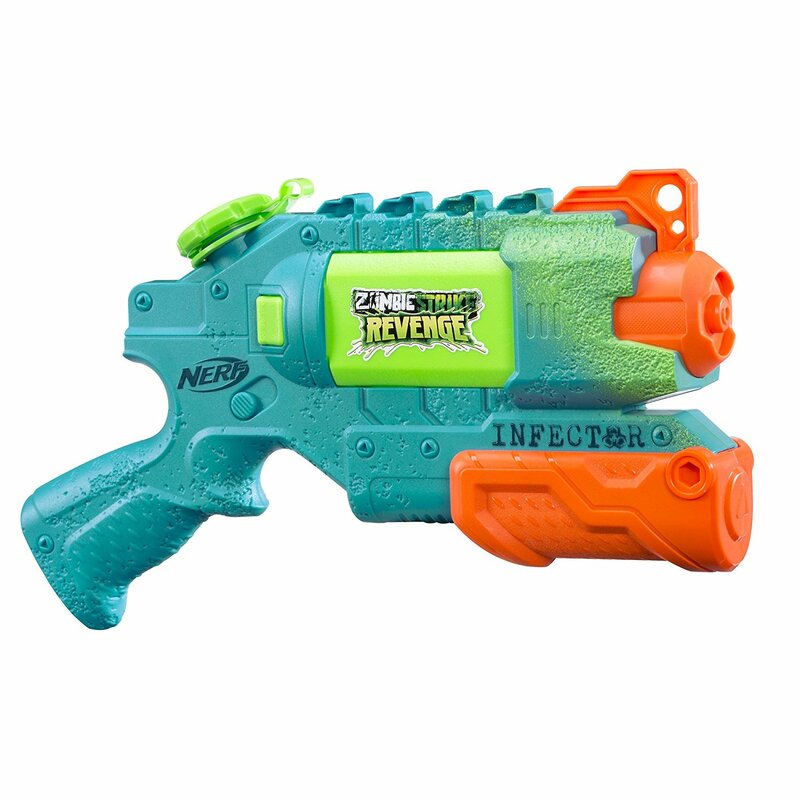 Nerf N-Strike Elite Strongarm Blaster (Amazon, $12.99) and Super Soaker Zombie Striker Water Gun ($17) – Bean’s birthday party is a Nerf War party. 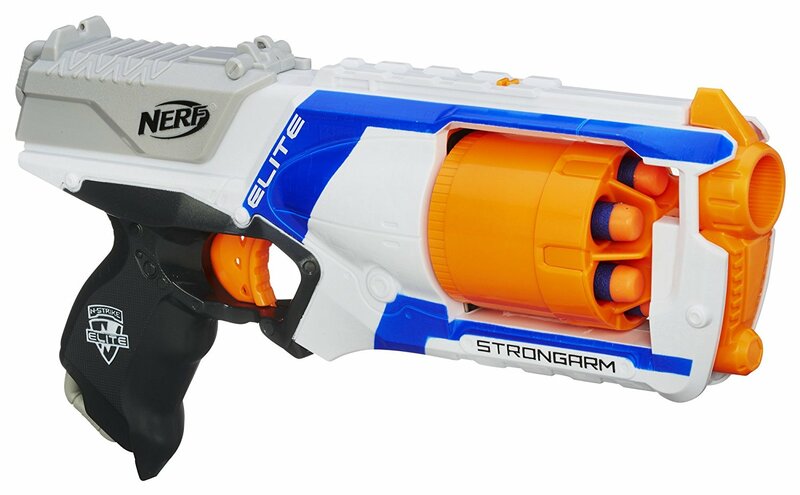 Boys are bringing their water guns and Nerf guns for a series of battles in our backyard. So, we got Bean a little upgrade for his party with one of each. 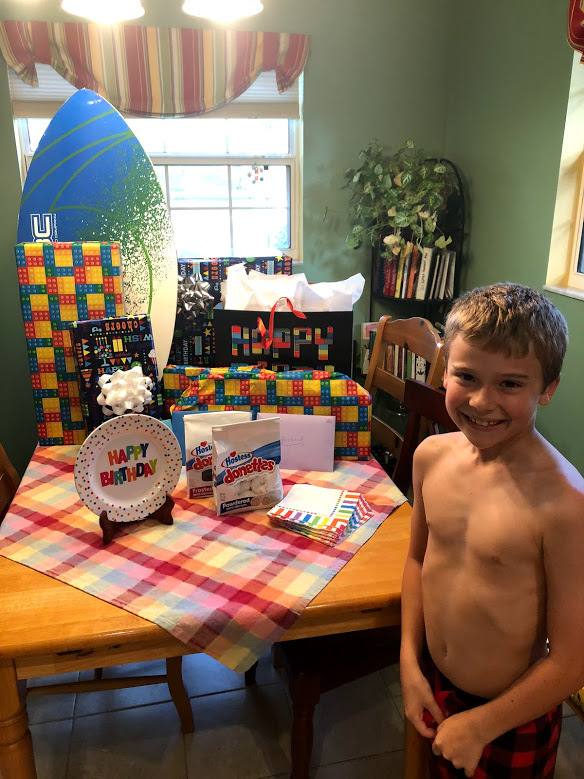 From family, he got a fun new yard game for outside, a few Playstation 4 games (Harry Potter, Lego Marvel Avengers, Star Wars Battlefront, Lego Marvel Superhero’s 2), another Super Soaker, and a GINORMOUS pack of Nerf bullets for his party. Basically, the kid racked up! And I’m really thankful because it has kept them busy as we have kicked off our summer here. The post Happy Ninth Birthday, Bean! appeared first on .